Trusting someone with the most precious thing in your life can be difficult. It’s a job you don’t take lightly. 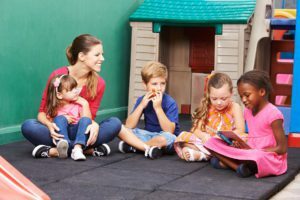 To help you find the right child care situation for your little one, here are five questions to ask potential providers. Look down.When you visit, pay attention to how the staff interacts with the children. Ideally, a caregiver should be on the floor playing with the kids or holding one on her lap. Do a policy check.Find out if you share parenting philosophies on topics such as discipline (Do the caregivers use time-outs, scoldings? ); television (Is the TV on all day or used sparingly, if at all? ); feeding (What snacks or drinks are provided for older babies? ); sleeping (When are naps offered? How are fussy babies put to sleep? ); and so forth. Inquire about the sick-child policy (What symptoms prevent a child from attending?). Most child care providers will have a handbook that lists all their policies. Drop by and spy.If possible, try to visit the same centers at different times of the day to get a sense of how the staff interacts with the children and what the routine is. You may want to consider popping in unannounced a few times after you’ve enrolled your child as well, just to see how things are going. Read Reviews.Read all the reviews that you can find about your child care provider. This will help fill in the gaps of your in-person visits and give you a sense of how other parents feel about their experience. Trust your gut.You’re the parent. You know what’s best for your child. Babies deserve, and thrive under, good, nurturing care. If something just doesn’t feel right about your situation, investigate other options. At A Child’s Place at the Ranches, we have provided excellent child care for more than 12 years! 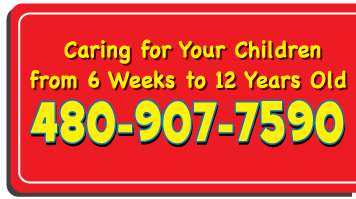 We have committed, educated, loving staff to take care of your precious child.